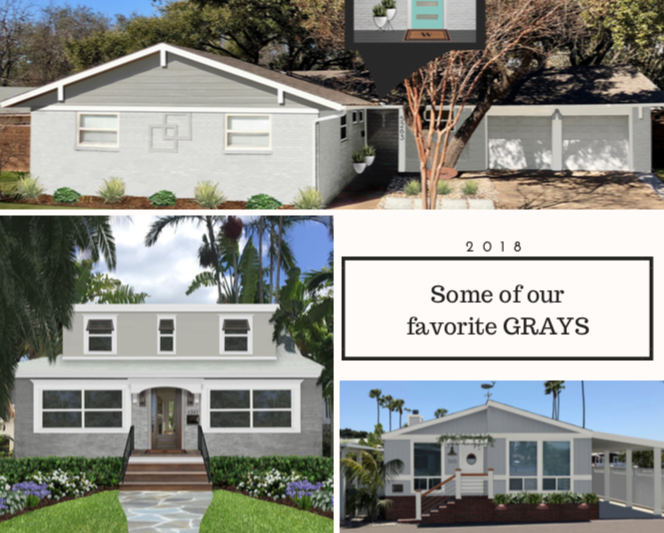 What are the three house exterior paint colors we are loving and a prediction for 2019? Darks, whites, and grays keep returning in full force! Dredging through showrooms, open houses, magazines, and trade shows, we become part mind reader, psychologist, and researcher. We learn from experts in the field and sort through the nonsense. Finally, we take all the information and predict what’s going to be hot in the upcoming season and year. Welcome to our lives! 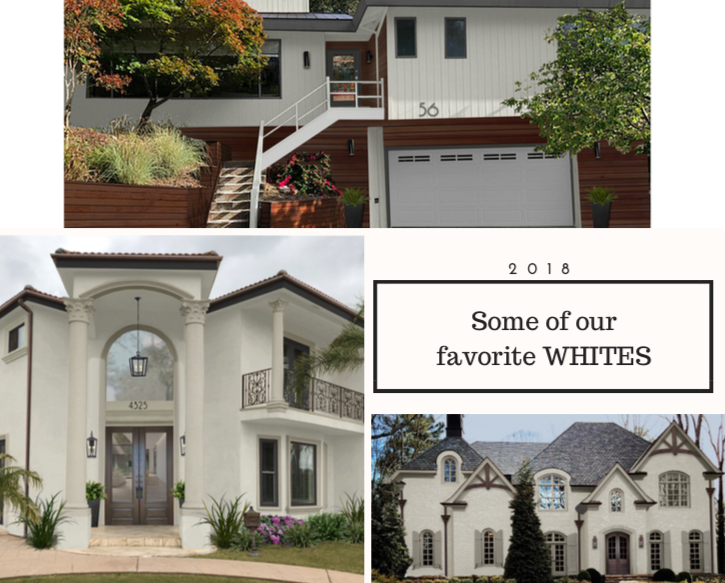 We put some of our 2018 predictions to the test and found 3 paint color trends that we are still loving… and one trend we are predicting for 2019. Don’t go it alone. 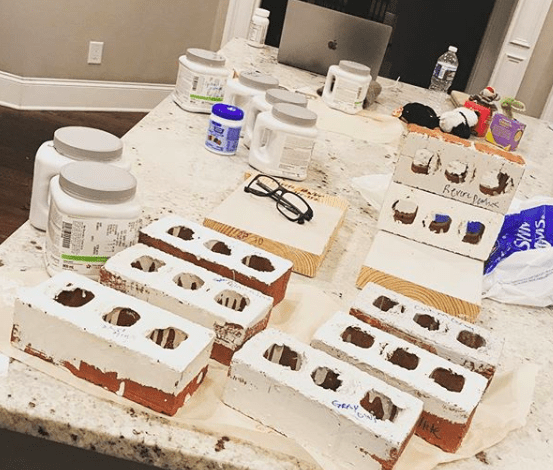 Contact brick&batten for your free consultation! We are seeing many clients opt for neutral paint colors. They are tired of the red door and chartreuse accents. Neutral colors are like a grilled cheese sandwich. Safe, predictable, and comforting. They never go out of style and everybody loves them…just like a grilled cheese. Timeless and classy. #1. We are SWOONING over DARKER COLORS creating a more dramatic effect. Hale Navy, Soot, and Wrought Iron, all by Benjamin Moore have our full attention right now. A neighborhood filled with sandy beige nondescript houses doesn’t turn many heads. Are you the Brockway, Lincoln, or Garfield floor plan? They may have a slight difference but basically they all look the same. Booorrrinngg! 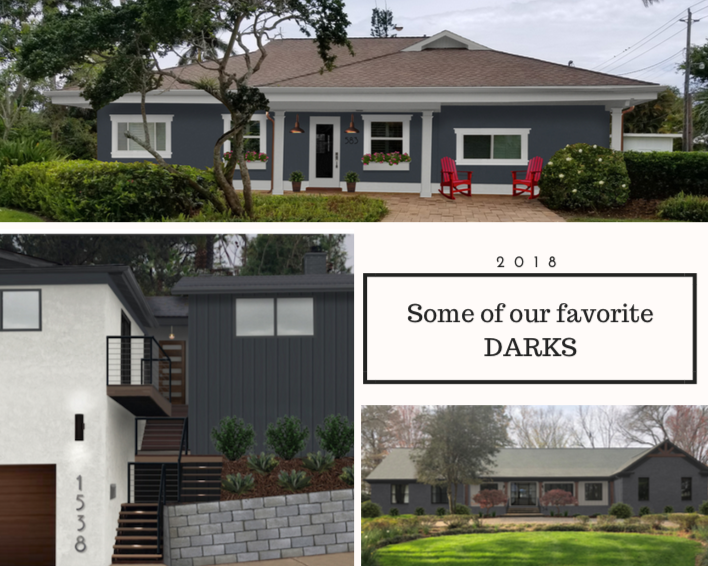 Dark colors adapt to many different home styles from contemporary, to mid-century, to craftsman. They also allow for the details on the home, like light fixtures and colorful landscape to make a powerful statement. #2. Another favorite is WHITE. Maybe it’s the popular farmhouse trend that has sparked a white fetish. Whites can be tricky because there are cool whites with a blue/ grey undertones and warm whites with a brown/ cream undertones. Something about white is beautiful and clean, especially when done with a white trim. White may also be done with darker trim for a more striking look. Generally, we opt for whites with a lower light reflective value (LRV) for home exteriors. This cuts down on what the paint color reflects- neighbor’s paint colors, landscaping, etc. Our go to whites include hues like Sea Pearl, Swiss Coffee, and Revere Pewter. Gorgeous and deliver every time. #3. Brown used to be a neutral favorite; however, surpassing brown is still hanging on GRAY or GREIGE (grey and beige mix). 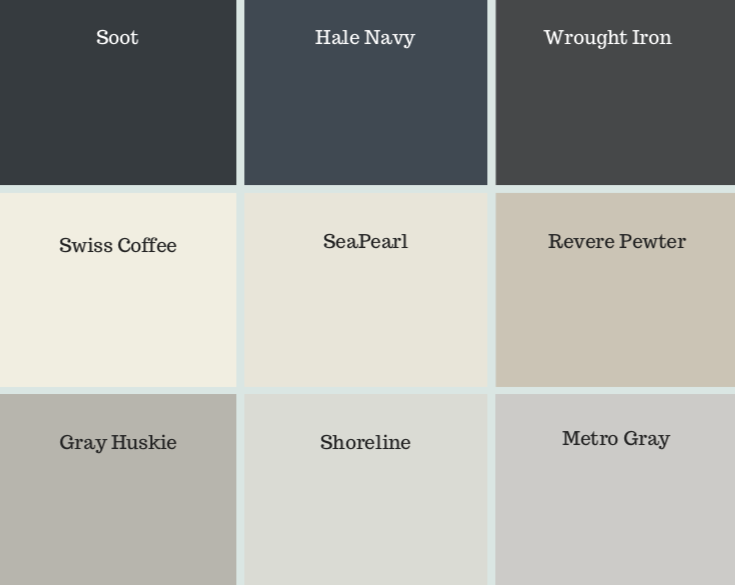 The hues range from Shoreline, Gray Huskie, to Metro Gray all by Benjamin Moore. Because most grays are neutral, they pair well with various house cladding options: brick, stone, and stucco. If you’re feeling crazy, change the easy things. For example, throw color to an accent piece like your entry door or pillow on outdoor furniture. It’s all about finding colors you respond to and using those to create a mood and atmosphere that is nice when you pull up to your home. As with everything, keep your house style and pallet in mind when choosing color. White is great at the beach and on the farmhouse; however, on your craftsman there are better options. The power of color can completely change your experience. Let us partner with you to find the perfect choice for your mood and house style. It’s just as easy to paint your house the right color as it is the wrong color. Be the expert. Get it right. Feel confident before you execute with a virtual design of your home’s exterior. Contact brick&batten for your free consultation.